Don’t forget you can watch all our Manchester sessions live on YouTube and also replay them at your convenience. 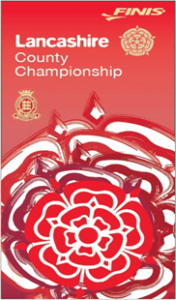 First weekend of the Lancashire Championships are ready to go, keep up with the results. 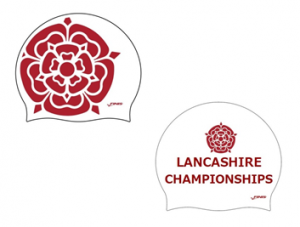 We are pleased to offer these bespoke Lancashire County towels and swimming caps which are only available for clubs to order prior to the County Championships. Thanks must go to our swimmers for their great performance. It was always going to be very difficult this year facing the strongest Yorkshire team to date. Our team gave their all and fought for everything. To be second (a clear second at that) was a great achievement and the swimmers should hold their heads high. We are very proud of the whole team and the coaches and team staff feel exactly the same. Team Captains Niamh Robinson and Matthew George did a stirling job in motivating the team. Thanks to Mike Wilson and Adam Naylor, our team coaches, for their motivation, support and feedback to the team. Our thanks also to Carolyn Dawe (Team Manager) and Joshua Thompson (team chaperone and motivator) for their work. It has been noted by several people, including a FINA Referee from Essex about how gracious the Lancs Team were in applauding Yorkshire as they received their award. The Red Rose WILL be back!!!! Please see attached QTs and conditions. The full pack will be circulated in the autumn.